EASIMAP is an online tool designed to enable Programme teams to map programme and module intended learning outcomes along with assessments to the QAA Benchmark Statement for Engineering and to UK-SPEC. Provide Programme/Module leaders with the ability to demonstrate coverage of intended learning outcomes across a programme. This will be valuable for internal review, external accreditation, institutional quality assurance etc. EASIMAP has been developed through a JISC / Higher Education Academy Distributed e-Learning Programme 2 project funded between 2007 and 2008. 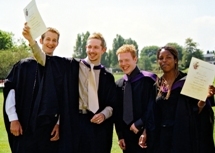 A number of universities have been involved in piloting EASIMAP. The tool is hosted by Loughborough University on behalf of the Higher Education Academy Engineering Subject Centre. An user-name and password (available on request) is required to use the tool. Help files are available throughout the tool to offer advice and guidance to new users.